Actic Group has recruited Jörgen Fritz as new CFO. Jörgen joins Actic from a role as partner at PrimeQ. 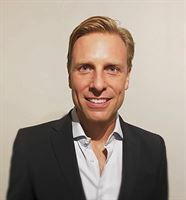 He has previously been CFO at Filippa K and Medstop as well as for Unibail-Rodamco’s Nordic operations.”We are very pleased to be able to recruit Jörgen Fritz, after a wide process, as new CFO. With his deep expertise in finance, accounting and financial management, combined with his experience from various companies, he becomes an important part of Actic’s future business and the ambition to develop in accordance with the set targets”, says Christer Zaar, President and CEO of Actic Group. As previously communicated, the current CFO leaves the company during January. A process for recruiting a successor is ongoing and is expected to be completed during the first quarter. Gabriel Sundström, current Group Financial Controller in Actic, will act as acting CFO until a permanent CFO accedes. For further information, please contact: Niklas Alm, Investor Relations, niklas.alm@actic.se, +46 70 824 40 88 Actic Group shares are listed on Nasdaq Stockholm, where Actic Group is a Small Cap company with the ticker code ATIC.